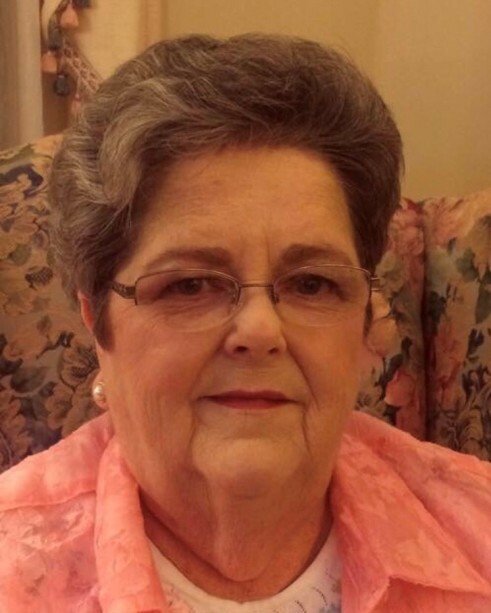 Patricia “Pat” McSwain Hancock, 80, of Salem, died peacefully Tuesday, February 12th, 2019, following a long fight with congestive heart failure. She fought as long as she could, selflessly continuing to care for her family despite each illness that befell her. She was born in Winston-Salem, NC but moved to Johnson City, TN as a child. She was the valedictorian of her high school class and then graduated from ETSU before moving to Salem, VA to teach in 1960. After taking some time off to raise her family, she eventually received her Master’s Degree and was the school librarian at Roanoke Catholic School where she worked until she retired. She was the church pianist at Salem Baptist Church for over 30 years, touching many lives with her beautiful music. Since retiring from that job, she continued playing the piano for Helen’s Bible Study; those recordings will be treasured for years to come. She is preceded in death by her beloved husband, Charles, of Salem, and her parents, Mr. & Mrs. James D. McSwain of Salem. She is survived by her daughters, Helen Hancock of Salem, and Carol Hancock Whalen, her husband, Bruce, and their children, Jeremiah, Elizabeth, and Bruce, Jr. all of Pine Ridge, SD. She is also survived by her sister, Nancy Phipps, and her husband Bill of Harlingen, Texas, her brother-in-law Preston Hancock and his wife Tonya, and numerous nieces, nephews, and cousins. She is also survived by her many caregivers who loved her like she was their own, especially Christan Eubank of Salem who bent over backwards to help the family. Also special thanks to Pat’s neighbor Tony Roush who has taken such good care of Pat since Charles died. She will be sorely missed but she now is in the hands of her Savior and reunited with Charles, her cherished husband. Visitation will be Friday evening 5-7 at Lotz Funeral Home in Salem, and Funeral will be Saturday at 11:00 at Salem Baptist Church with interment to follow at Sherwood Burial Park.